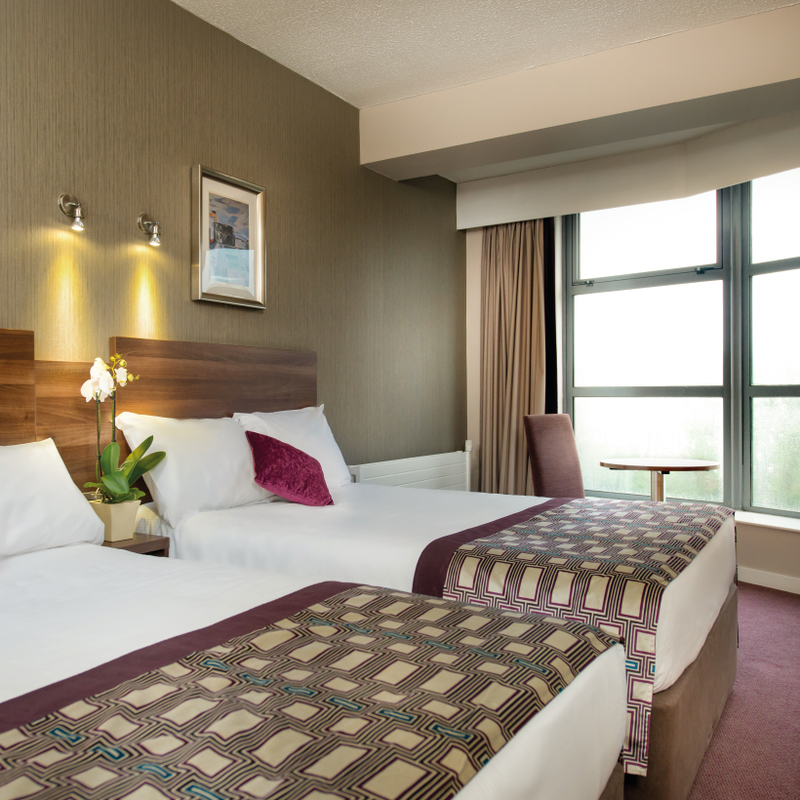 Our Galway hotel rooms are spacious and can accommodate up to three adults or two adults and two children under twelve. 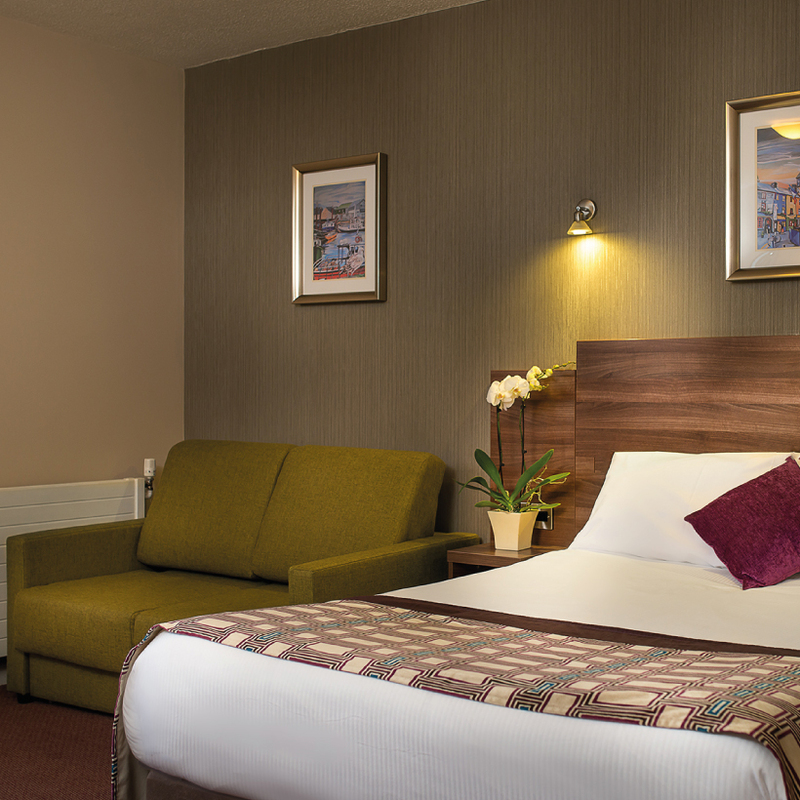 Curl up on one of our large soft beds or relax in a hot bubble bath in the en-suite bathroom, complete with complimentary toiletries. Our hotel rooms also include well-lit work areas, multi-channel flat screen TVs and free WiFi internet access throughout. 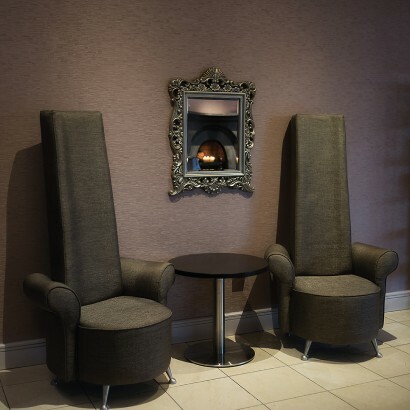 With the Spanish Arch and Medieval City Wall (dating back to the 13th century) just a two minute walk from and Eyre Square Shopping Centre and Galway Train Station within a ten minute walk from Jurys Inn Galway, we are perfectly placed for guests looking for transport links, retail therapy and historic city attractions all in close proximity. 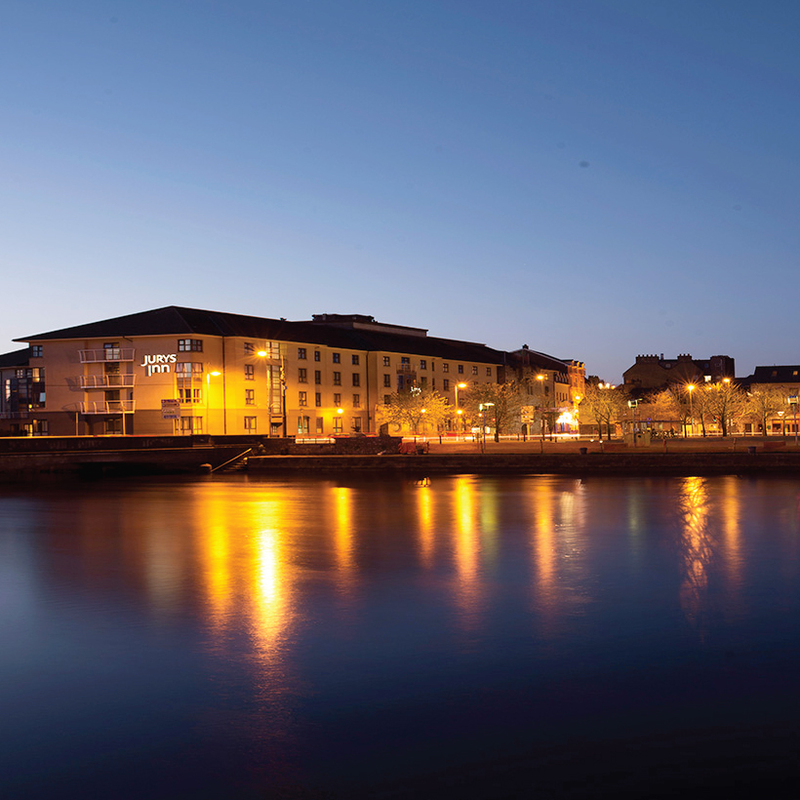 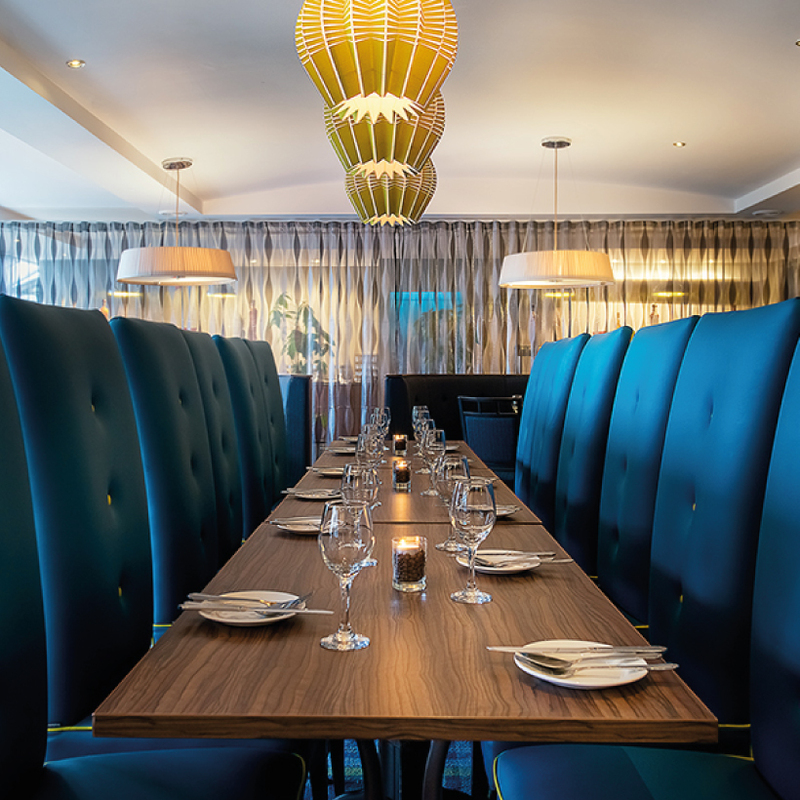 For those seeking to immerse themselves in Galway’s bustling cultural hub, Shop Street is bursting with shops, nightlife, and restaurants and is just a 5 minute jaunt from Jurys Inn Galway. 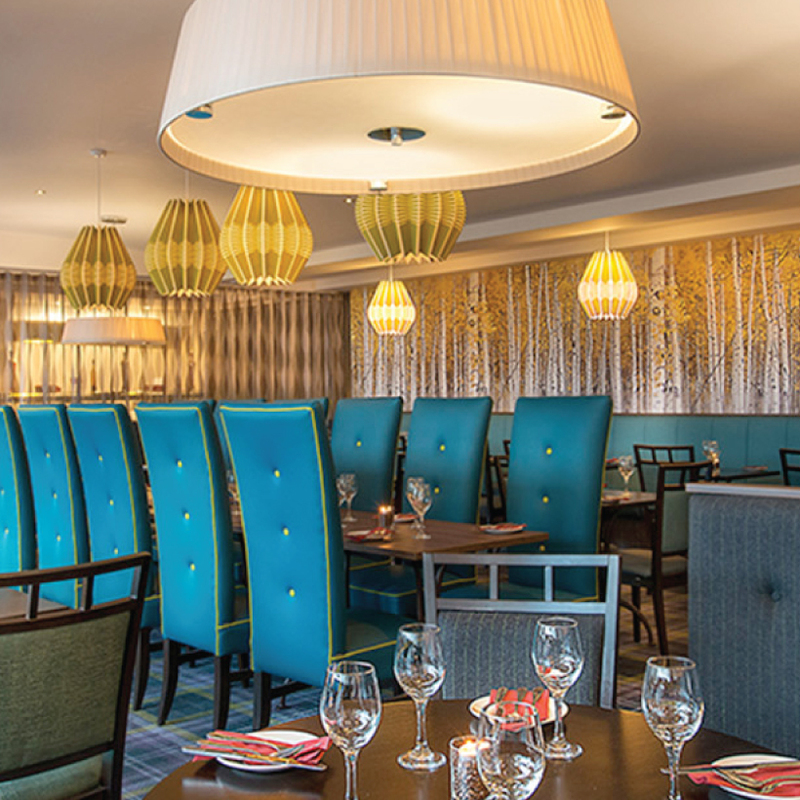 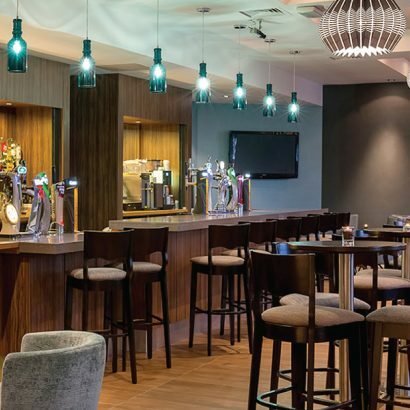 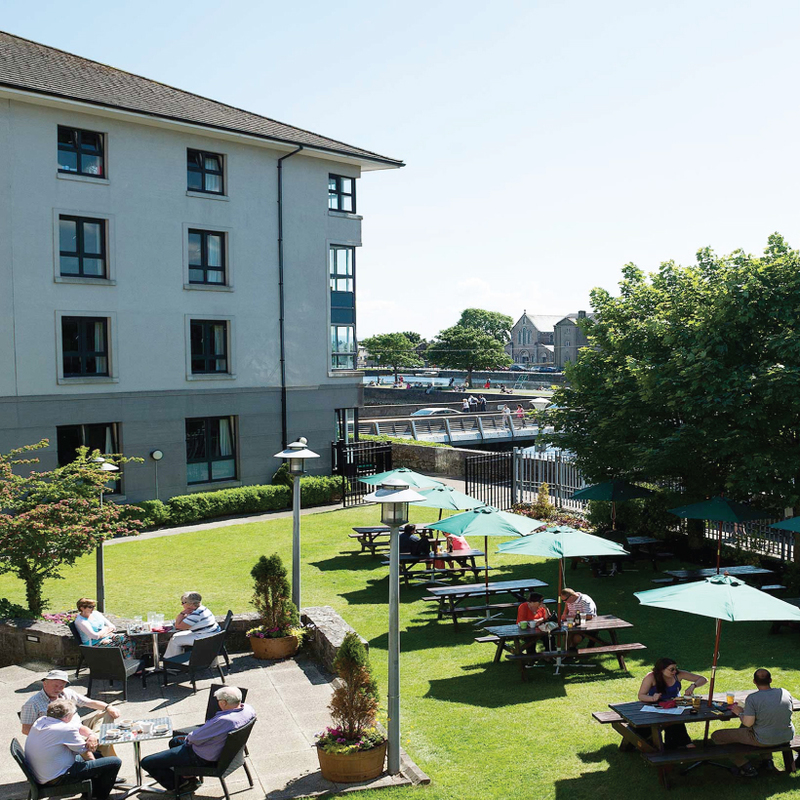 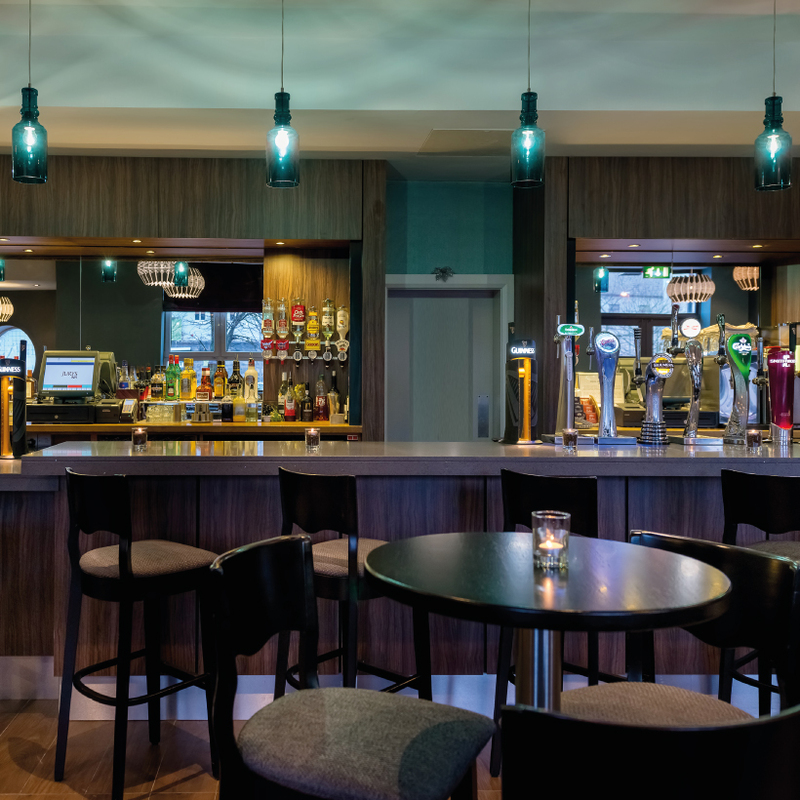 Whether you are visiting our hotel as a business or leisure guest, Jurys Inn in Galway offers all the amenities needed for a relaxing stay.